A special wildlife Easter egg hunt is to take place at Conningbrook Lakes Country Park on Monday April 15th, led by Kent Wildlife expert, Cristina Juan and organised by Latimer and Westerhill Homes. 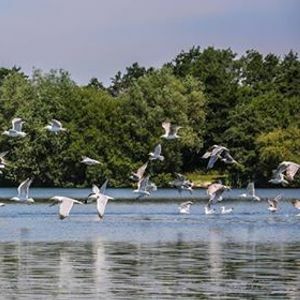 The free guided walks will offer an insight into the different birds and animals that can be found around the lakes and country park in Spring time. The Easter themed walks will also see the youngsters given a basket containing pictures of different animal eggs and each time they spot the animal that came from the egg, they will be able to swap their pictures for chocolate eggs, or eggs to decorate. The walks will be followed by a craft session decorating hard-boiled eggs with leaves and petals collected during the walk, using a variety of craft techniques such as colour bathing, sticking and drawing. Spaces are limited, so please call our sales team on 01233 215155 to book your place.